Halibut has arrived! Time to add grade A Alaskan Halibut to your menu! Wild caught from the continental shelf areas of remote Alaska, we are now delivering the highest quality Alaskan Halibut directly to our customers in the United States. Alaskan halibut are flat funny looking fish that swim the continental shelf ares in remote Alaska. Halibut sets the flavor standard for delicious tasting fish, and Captain Tony is supplying the highest quality, most remote and pristine fresh catches. The meat of this large-species halibut (up to 500lb per fish) is white, flaky and perfect. Typically baked or grilled, you can’t get a better fish to cook with. This sustainably harvested abundant natural resource is an excellent source of protein. 100% all natural product comes directly from nature with no preservatives. These skinless boneless portions come individually vacuum packed. Perfectly sized portions are approximately 6oz and serve 1-2 people. Simple to store, thaw and cook, these skinless boneless wild Alaskan Halibut fillets are a delicious and convenient dinner option any day of the week. Taste the difference when you buy wild Halibut direct from Captain Tony! Larger size and custom orders are available. Don’t see something you want? Live chat or call us now (907) 290-0992. 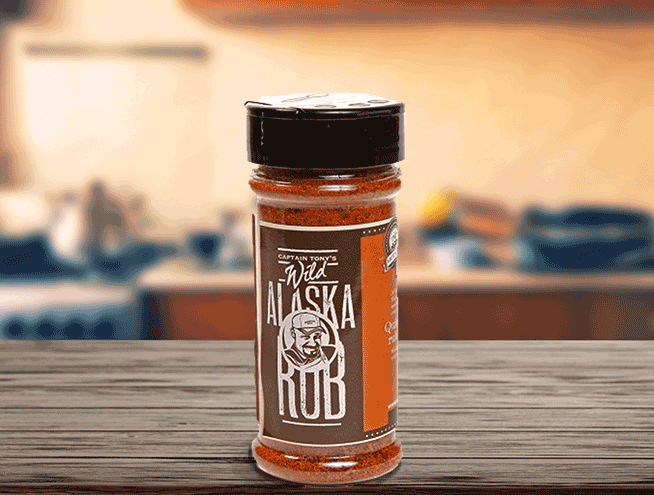 Adding this product to your shopping cart allows you to buy Wild Alaska Salmon & Seafood's add-on items, such as our Smoked Salmon products, smaller packages of our Royal Red Shrimp, and more! 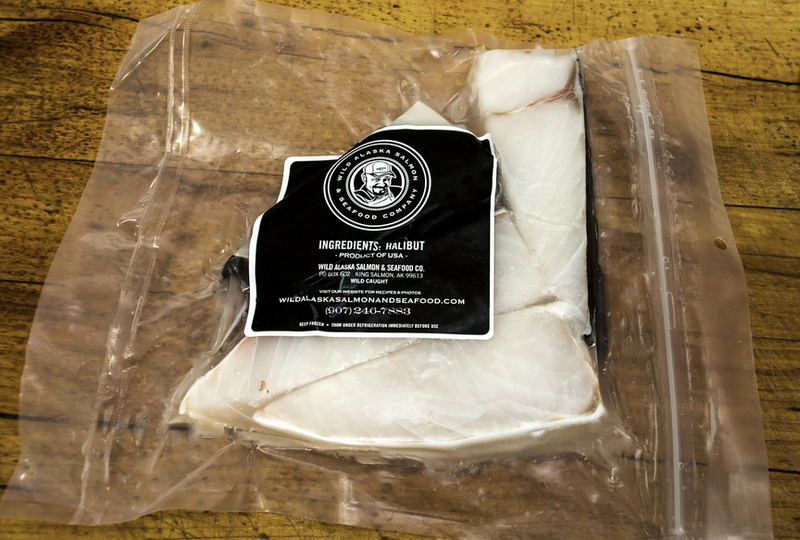 Buy sustainable Wild Halibut and get FREE DELIVERY directly to your door! We are proud to offer the highest quality Halibut at the lowest price available. 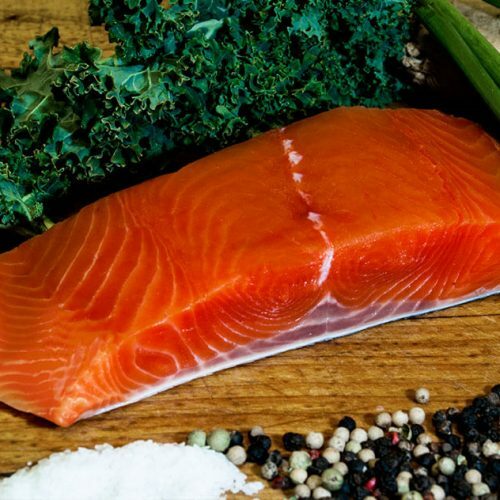 Wild Alaska Salmon & Seafood Company is a 100% fisherman family owned business delivering a sustainable renewable resource that’s both healthy and delicious. Taste the difference when you buy Wild Halibut direct from Captain Tony! Halibut is a common name for two species of flatfish. Halibut (flatfish) are members of the family of right-eye flounders. Halibut are the largest of all flounders/flatfish. They have an average commercial catch weight of 25-30 lbs but can weigh over 600 lbs and be up to 8 feet long. These fish are unusual and interesting looking fish. Check out some images of halibut. 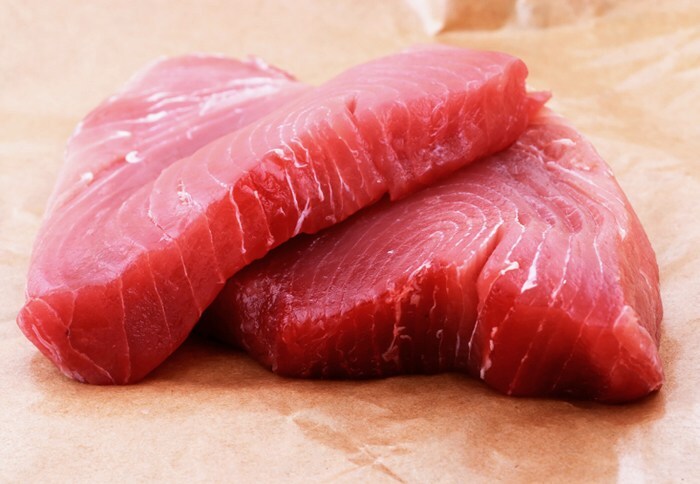 A 5.5 oz/155 gram (approximately ½ of a fillet) fillet of Atlantic or Alaskan Halibut provides 220 calories, 42 grams of protein, 0 grams of carbohydrates and 5 grams of fat (no saturated fat and 40 calories from fat). 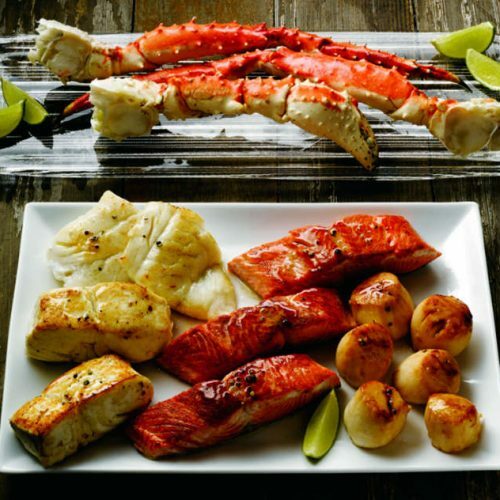 Halibut is one of the safest fish to eat as far as mercury contamination is concerned. It contains some fat, but mostly the heart healthy monounsaturated and polyunsaturated kind. It’s also very high in selenium, which the body needs for detoxification and preventing DNA damage. 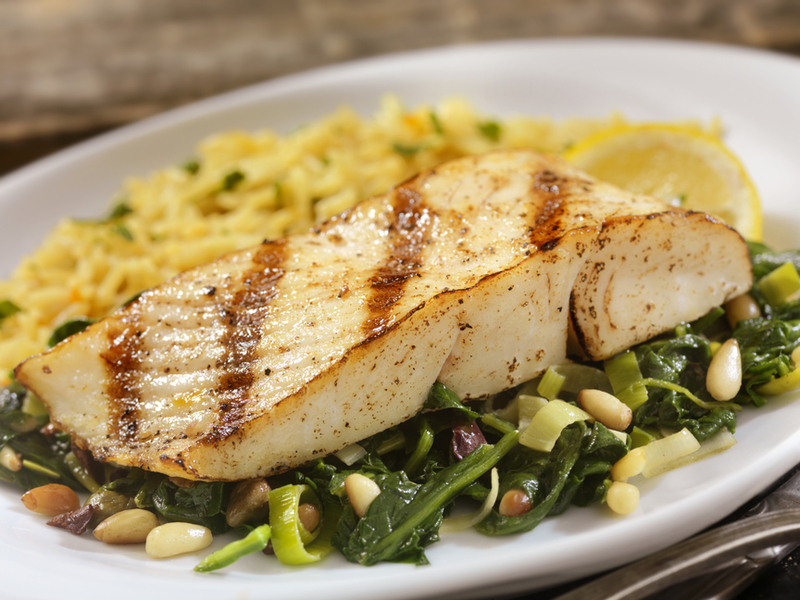 Halibut is a lean fish with mild, sweet tasting white flesh, large flakes and a firm but tender texture. Sustainably harvested and wild caught from the icy waters of remote Alaska.